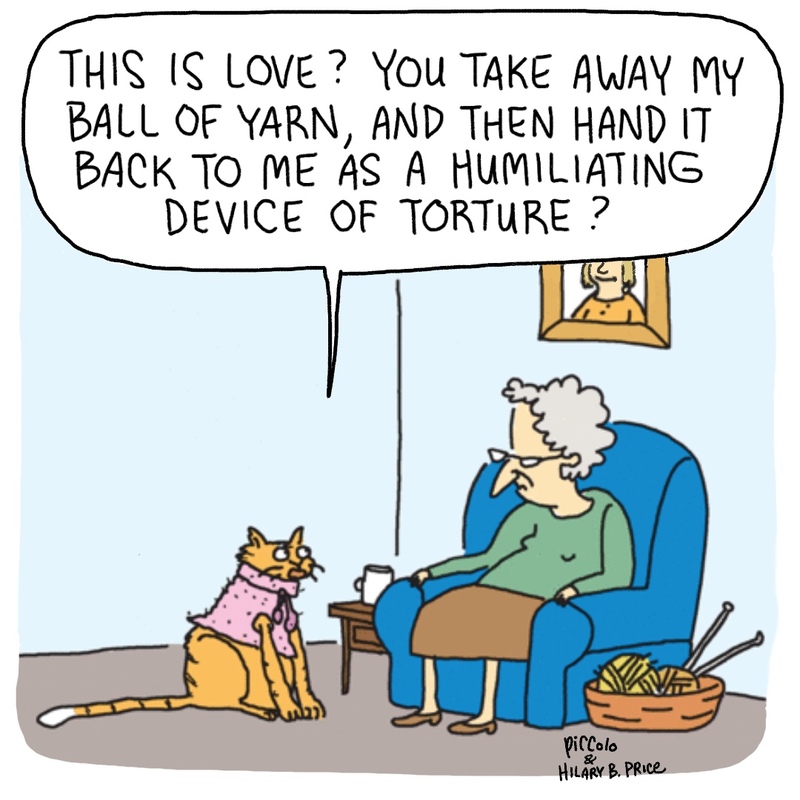 LOL - poor, poor kitty!! 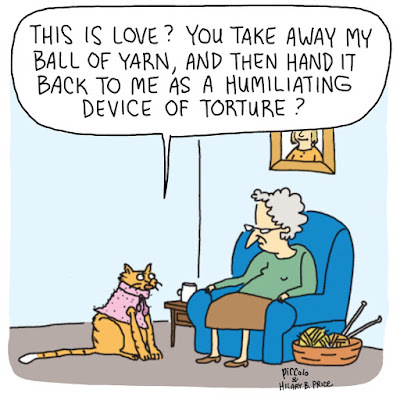 This reminds me of something I saw on Twitter today, where a woman learned to knit and made her cat a hat! I've never had a cat that would tolerate clothes! Too bad - they look so cute! Too funny! As a little kid I had a cat that would let me dress her up in doll clothes and push her around in my doll buggy. But I can guarantee the current cat king in the house wouldn't put up with it. So cat-like. A dog would be slobbering all over and gushing about the beautiful coat. Fun comic.